It's hard to imagine my life without vegetables. Basically, I would go crazy. Unlike many people, I absolutely adore veggies. Most of my daily meals include vegetables in some form or another--yes, even breakfast sometimes features roasted tomatoes or sauteed mushrooms. Lunch and dinner are rarely without a colorful veggie; and when I want a snack, I find it's carrots or cherry tomatoes that hit the spot. I'm not saying I eat only vegetables--that would actually be a complete lie--but it's probably safe to say they make up more than 50 percent of my diet. 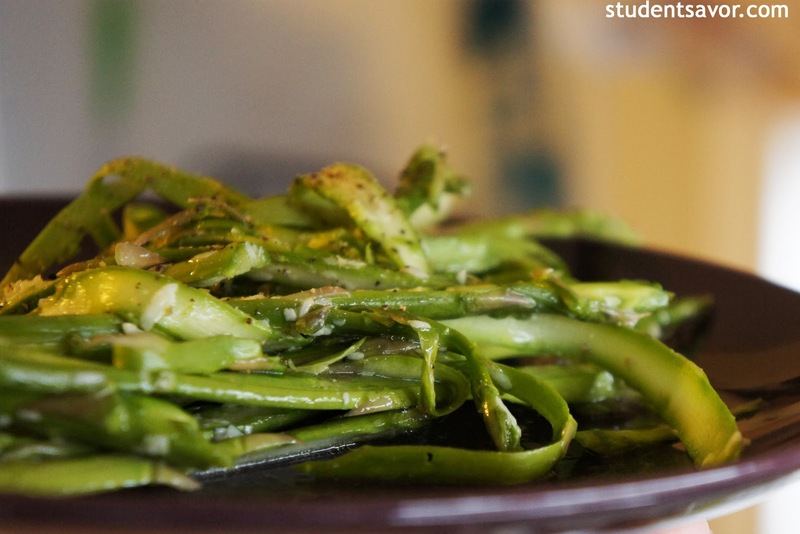 This next recipe falls within my favorites solely because it's asparagus based. I find the veggie recipes I love are usually the simplest; honestly, give me a veggie and I will eat it! 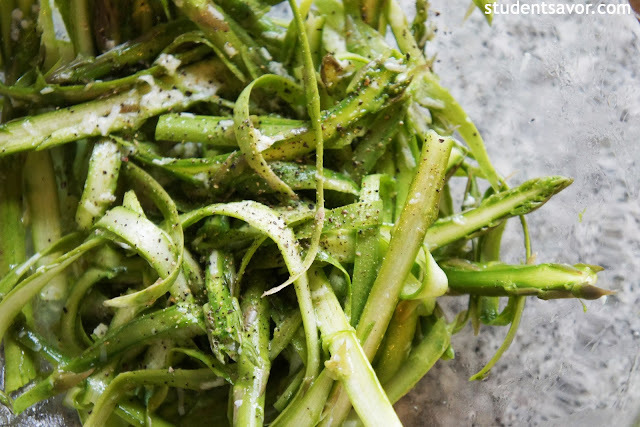 Anyways, this asparagus salad is simple, but it actually takes quite some time to make since you have to slice every asparagus with a peeler. My advice, use the largest asparagus you can find; stay away from the thin ones! Other than that, the tangy dressing is delicious and fresh--I'm sure it would be very good on lettuce also. Enjoy! Makes about 5 servings. Total time: 30 minutes. 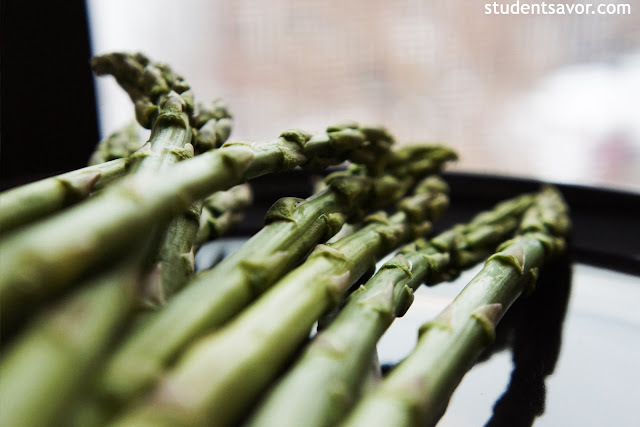 Using a vegetable peeler, carefully shave the asparagus into long, thin strips. Transfer into a large bowl. 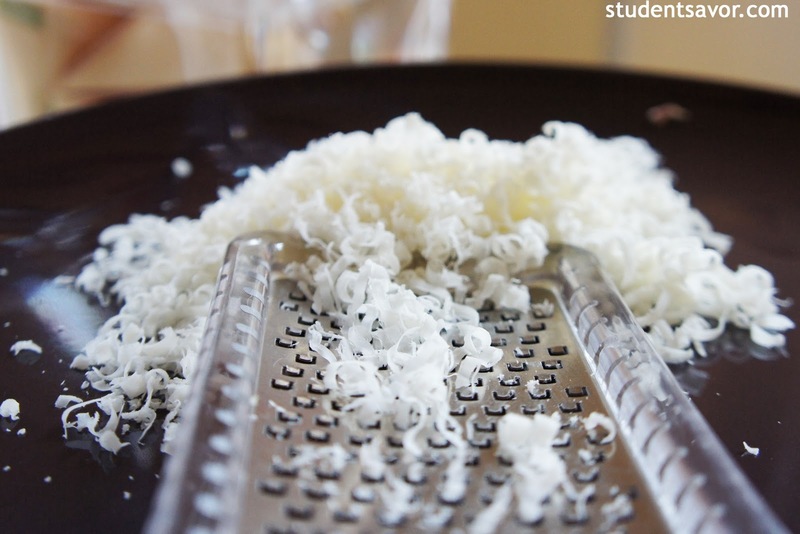 In a small bowl, mix the parmesan cheese, lemon juice, water and olive oil. Using a fork, beat the dressing slightly while pouring it over the asparagus; toss to coat. Season with salt and pepper and serve immediately. WOW!! i love this veggie. I love ur blog and following u from now.